NO, I’m not on a health food kick! Why is it that Carrot Cake draws ooohs and ahhhs, whereas Carrot COOKIES simply draw skepticism? These cookies are a world away from the frosted decadence of most carrots cakes. But that doesn’t make them any less delicious in their own right. 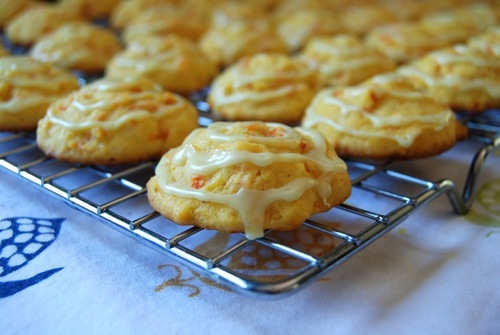 Light as air, flecked with tiny bits of carrot and topped with a sweet whisper of citrus glaze. 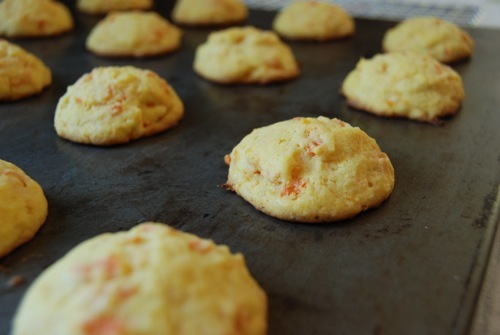 Delicate and irresistible, they’ll make a Carrot Cookie believer out of you. Recipe adapted from Simply in Season: A World Community Cookbook. Preheat oven to 375 degrees. Get out a baking sheet and set aside. In a mixing bowl, beat together the butter and sugar. 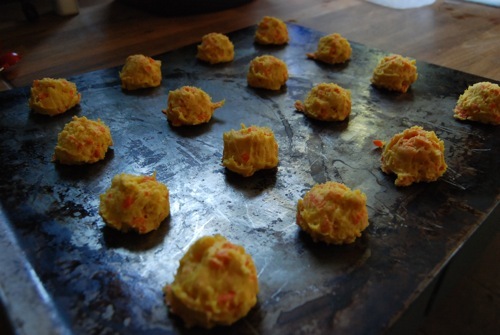 Add the shredded carrot, egg and vanilla and mix well. Sift in the baking soda and flour and stir until combined. Drop by rounded teaspoonfuls onto the (ungreased) baking sheet. Place on middle rack in oven and bake 10 minutes. Remove from oven and let rest for a minute on the baking sheet, then remove to a wire rack to cool fully. To make the icing, measure the powdered sugar into a small mixing bowl. 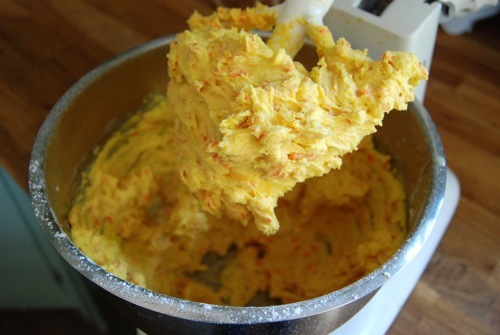 Add the grated orange zest and juice, and stir until a glaze consistency is achieved. 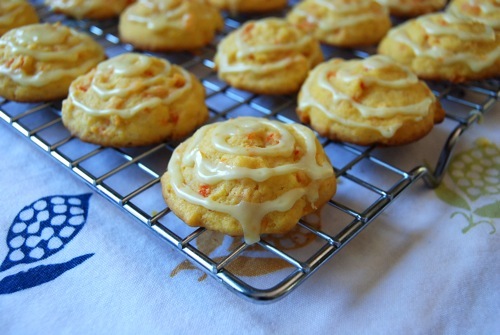 Spread, drizzle or pipe onto cooled cookies. ENJOY! Mmmmm best tasting cookies ever! These are delicious!!! My fav recipe! I make them quite often. Yay! Wonderful to hear, Kristine! !